The other night in New York, between a work conference and an improv show, I went to see Wener Herzog's new movie about cave paintings in France. As a work of art, the movie is good, but entirely eclipsed by the art within the caves. I highly recommend seeing this movie in theaters in 3-d because you can see the way the paintings are arranged to imply movement over the curves of the cave walls. I've been thinking about works-in-progress lately. Writing for the internet (this blog and for the Hartford Advocate, as well as all the places I've been guest blogging) is entirely different than the longer essays I used to polish for months and sometimes years. This new writing has instant permanence. Instead of each chunk being a perfect, finished thing, the entire webpage itself is a work-in-progress. Not only that, but my writerly voice and my writing career are works-in-progress too. That's a lot of progress, and a hell of a lot of work. Sometimes I wish I could just create one perfect thing and have some metaphorical rocks fall over the mouth of the cave, and let the art steep and crystallize and be stumbled upon by French hikers someday. 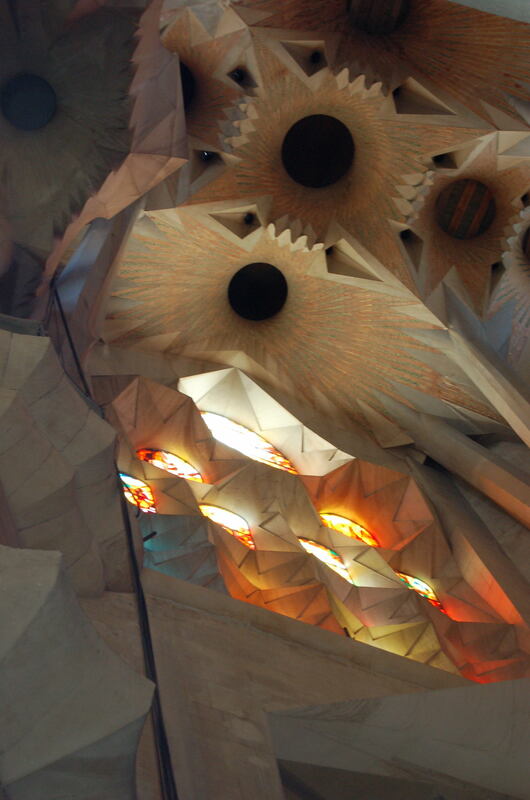 Alas, I think I will always be more of a Gaudi. What are your works-in-progress? Will you ever feel finished?